Lately, I’ve been thinking about my mother who passed away in 2012. She was my inspiration for creating Final Wishes. Her passing was very sudden and I was left to make choices when I had absolutely no idea what she wanted. With all the decisions that had to be made in such a short time I was stressed and overwhelmed. I understand why it is so important to plan ahead after experiencing this situation. 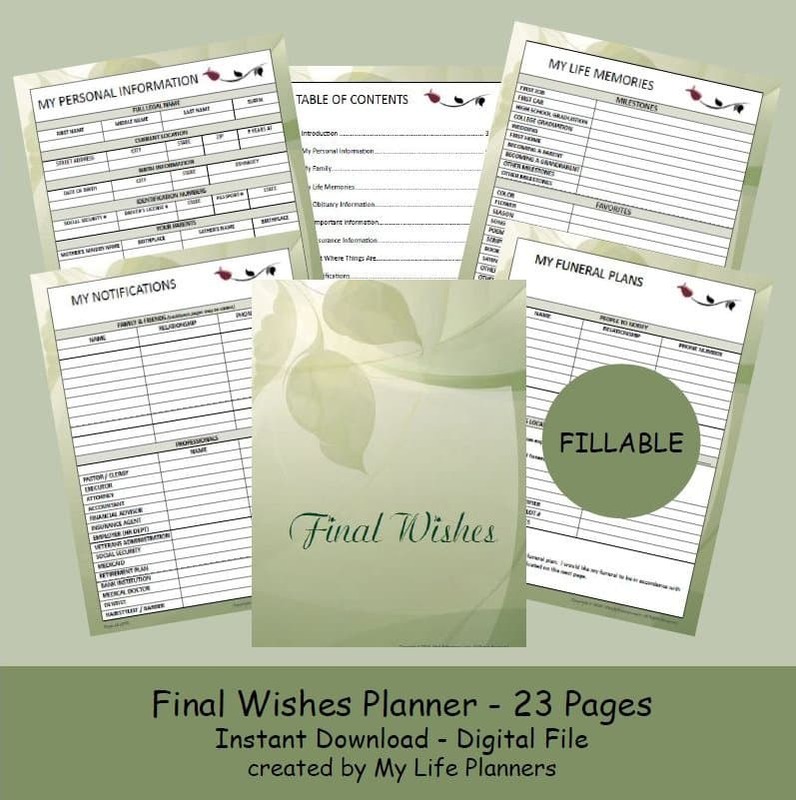 Loved ones should never have to experience what I had gone through, that is why created Final Wishes. As we get older, we realize we are not going to live forever and we aren’t as young as we used to be. We feel aches and pains as our bodies change. We start to forget things that we once knew. We attend funerals of friends that we thought were in great health. It is never easy to think about or own death or to plan for it. However, taking the time now to plan and prepare has so many benefits. Lessen the burden on your loved ones. By letting your family know exactly what you want they will not have to face the unknown decisions. Get what you want. By planning your own funeral, you are ensuring that your loved ones will know exactly what you wanted. You want to assume the financial responsibility for your funeral. Funerals are more expensive today than they were years ago. Planning your funeral ahead of time enables you to be self-reliant and make the financial arrangements to cover the costs. Give your family a meaningful funeral. A funeral or memorial service allows your grieving family a sense of closure and enables the family to begin the healing process. Peace of mind. It will give you the peace of mind in knowing that when the time comes, things will be done the way you wanted. Take time to plan today for your tomorrow so you can give your loved ones a final gift.